Year-round, Islamorada and the greater Florida Keys are blessed with crystal clear water that supports the third largest living barrier coral reef. With an abundance of marine life, Islamorada has scuba diving to enthuse all ages and experience levels. Our scuba diving charters are high-end, private, and personalized around your needs! Above all comes your safety and the safety of the marine life we visit. Our boats are clean and well maintained, our dive equipment is new and cared for, our PADI certified instructors and USCG certified captains are some of the best in the industry, and we hold the NOAA Blue Star rating for committing our business to coral reef conservation. Let us take you on a dive adventure of a lifetime, with no crowd and no rush, your on island time and so are we! Islamorada has access to some of the best scuba diving in the Florida Keys! 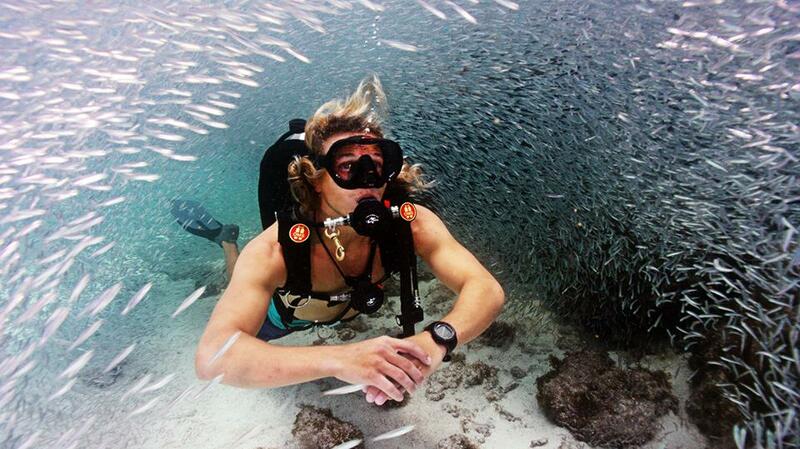 From shipwrecks to coral reefs, we strive to make your dives in the Florida Keys truly unforgettable! No dive site is out of reach for us, if there is something special you want to do, we will take you there! We accompany all ages and certification levels. Dive instruction and in water guides are available. All equipment is NEW ScubaPro and will be included in charter price. Got Lionfish? We do.. Lionfish are invasive in the Florida Keys and we need your help as a diver to eliminate them! Not only are Lionfish invasive, they also make a great dinner. 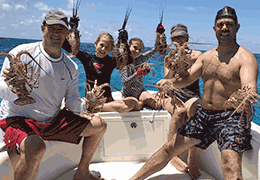 If your interested in protecting our reefs by hunting Lionfish, just mention it when you book. We have all the equipment, permits, and knowledge to safely remove them from our coral reefs. Captain, refreshments, air or nitrox tanks, weights, and all equipment will be included. Ready to Book your next Scuba Diving Trip to Islamorada? Let Capt. Tony and his crew be your guide to an unforgettable underwater adventure!